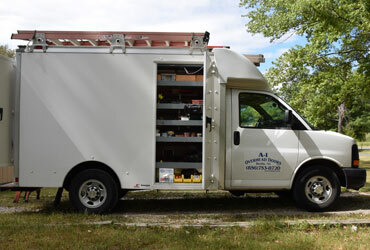 A1 door is fully insured and provide personalized service. All work is supervised by the Owner. A1 Door offers free estimates during business hours, evenings, and weekends. We offer free estimates during business hours, evenings, and weekends. We are one of only a few local garage door companies that can PAINT your garage door a custom color prior to installation. 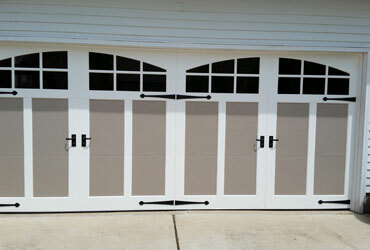 A-1 Overhead Doors is a competitively priced local dealer of garage doors, serving South Jersey since 1987. 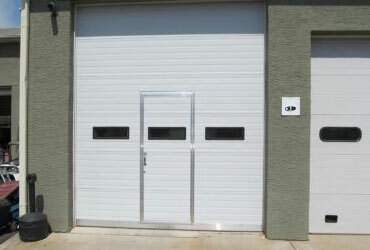 We specialize in Clopay brand (America’s Favorite Garage Doors®), which offer a lifetime guarantee. Our prices include complete installation, and removal and disposal of your old door. We can beat home improvement center prices, and because doors are a home improvement, there is NO SALES TAX. Bruce had been out to fix my garage doors twice in the past. So when I got ready for new doors, I contacted him along with 2 other pros from this site. He beat the other two estimates by a mile. I had two 8x7 doors and two belt drive openers installed in a few hours. Can't ask for more than excellent service at a great price. Bruce and Dave were prompt, worked efficiently, did a workmanlike job and met the quoted price. The door was installed properly, works well, and the garage door opener reattached and accurately adjusted. Bruce even cleaned the limit switch contacts in the 20 year old door opener at no extra charge, and only pointed out the wear on the plastic gears with a light suggestion that I may consider replacing it.... no hard sell! Good job, done well, couldn't have asked for more!. Bruce was very patience and tolerant as we changed our minds twice. Once we decided on what we wanted, Bruce installed the doors the day after they arrived. The job was two 8 x 7 replacements and 1 door opener. Bruce was the only bidder that did not charge separate to remove the old doors from our property. Very nice and easy going. A job well done. Phenomenal quality. Bruce gave me a reasonable quote, talked me through my options and was very patient while I coordinated the job timeline with another contractor who was painting our house. He was in and out in a morning and as promised, the new garage doors are both gorgeous and work beautifully. Excellent service at a fair price. Had springs installed in under one hour. I'm having them install new garage doors within the next couple of months. Very professional, showed up on time and did an outstanding job. I would contact this company again if I need this type of service. Called shortly after I put in the project for Home Advisor, was local to my home. Discussed project on phone gave me a rough estimate over the phone and scheduled an appointment for the following morning. Arrived on time excellent service, excellent workmanship, and extremely professional. Bruce contacted me right away and came the next day at the scheduled time. He did the work for a very good price and I would highly recommend him to others. He gave me a ball park figure over the phone and stuck to his price. He knew what was needed to repair my garage doors by our telephone conversation.